The DigiRout 1000 Pro uses high torque NEMA 34 square frame AC Brushess Servomotors for all axes (double stack length on the X & Y and single stack on the Z axis). The picture above shows the construction of the motor. The robust square frame profile allows a larger diameter rotor which along with the rare earth magnets & high pole count gives an ultra high 60 in-lb of Peak torque for the double stack and 20 in-lb for the single stack. True AC brushless wound outside stator means there are no brushes that can wear out. 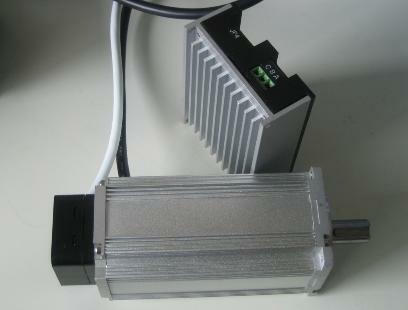 The high resolution (16K per rev) absolute position encoder provides feedback to ensure no loss of postioning. 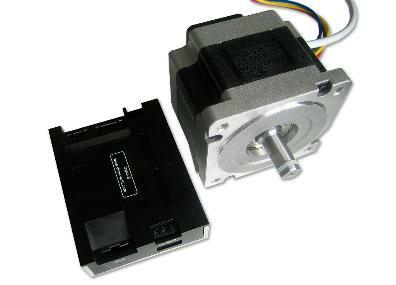 These high torque digital motors combine affordability and performance for the prime movers of the DigiRout. Very low cogging, super smooth, quiet.